1141 – England is divided by the bitter civil war between King Stephen and the Empress Matilda, and Winchestre is under siege and on fire. Janna’s quest to find her father in order to avenge the death of her mother has taken her from forest to farm, abbey and finally to the heart of the royal court at Winchestre. Along the way she has solved many crimes and mysteries, including the mystery of her own birth and her mother’s death – secrets that put both her life and her heart in danger. When Lord Hugh comes to Winchestre to finalise his betrothal to a wealthy young woman, bringing with him his trusted steward Godric, Janna knows that it’s time to choose between the two men who love her – but her purse has been stolen, she’s lost all proof of her real identity and she’s working as a lowly drudge in a tavern to support herself. Janna is blamed for trying to destroy Sybil Taverner’s business, and needs to find out the truth. Instead, she finds herself fighting for her life against those who would silence her forever. 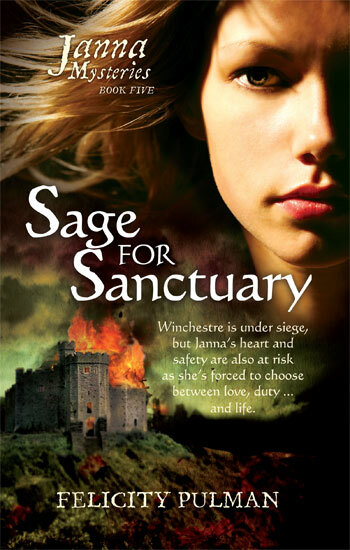 Sage for Sanctuary: “… this is another beautiful, intriguing story, and adds so much more to Janna’s character, her choices and her life… I loved this book as much as I loved the previous four, and can’t wait for the final instalment!” Seven Sacred Sites. See more Customer Reviews of ‘Sage for Sanctuary’ on amazon.com. Lilies For Love – Lilies for Love. 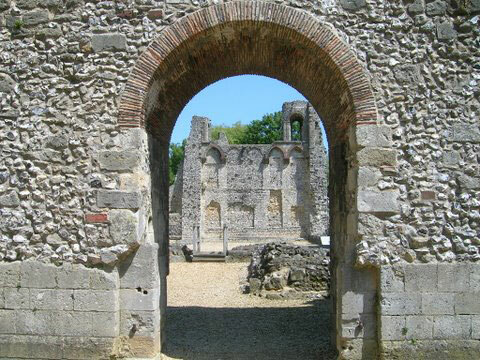 On the run and in fear of her life, Janna seeks refuge at Wiltune Abbey. But love, danger and mysteries follow close behind. What secret does her father’s letter hold, if only she can learn how to read it? Can the mysterious stranger asking questions about Janna be linked to the stabbing of the lord Hugh at St Edith’s fair? Who is destroying a precious manuscript, and what is the significance of the lilies left at the saint’s shrine? A chance meeting with the Empress Matilda helps to secure Janna’s loyalty to her cause – with grave consequences for Janna’s future.